Part of my problem is that I compare every uniquely formatted novel to House of Leaves. 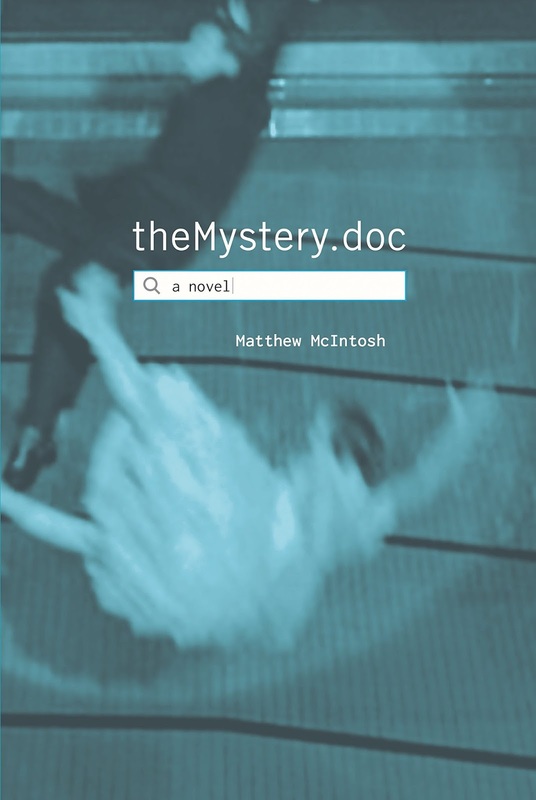 TheMystery.doc is nothing like House of Leaves - it isn't even in the same genre, or really formatted at all like House of Leaves, so, naturally, I'm disappointed. But if I look past my bigotry, I can appreciate TheMystery.doc for what it is. At least, I think I can? It turns out that I'm not really sure what it is. But I liked it... I think. Do you see what I'm getting at here? This is a frustrating book. Sometimes you'll be in a groove, and you'll feel the epiphany coming. And then it'll all get dashed away with a series of movie stills that you can't quite piece together, or three pages of asterisks. Then the scene will shift and you've forgotten the hard-won revelation. Soon, you'll just be thankful that you can recognize your own emotions. I felt sad a lot, I felt frustrated most of all, and sometimes I was intrigued (does anyone know why the inside flaps say this is a funny book?). Maybe that's the point? That everything is always ripping away from us and all we really know is how we feel? I don't know. NPR did a really nice review, and I think it explains how a book I didn't understand at all deserves 3 stars: "... And then, for some reason, something would catch my eye. A phrase, a picture, something, and something would turn over in my chest and I'd get it. I'd understand what McIntosh was doing. And I'd love the damn book for making me feel the way that almost no book ever has — for making me feel alive and rooted in this one stupid world of ours with all its randomness, all its awfulness and all its beauty. Then, five minutes later? Back to hating it"